Growing up on the Eastern Shore of Maryland, no one really bought chicken wings to fix for anything special. They were sold in packages in the local grocery store, but the only people who bought them, bought them to make chicken soup or chicken stew. Or, like we did, to use for crab bait. Back when I was growing up, chicken wings, and chicken backs and necks, were mainly used for crabbing. We’d buy them on sale and keep them frozen until we needed them. Then we’d thaw them out, safety-pin them on a weighted string line, and toss them off the pier into the Bay. We’d end the day with three or four dozen crabs, and have a great dinner! If there were any leftover wings, we’d re-freeze them, and use them the next time. After all, the crabs didn’t care whether the wings had been re-frozen several times or not. They didn’t have to worry about getting a stomach ache, because they were going to end up in someone else’s stomach! Chicken wings have become extremely popular for casual dinners and parties, since my younger days of using them as crab bait (and we still do when we have the opportunity to go crabbing). There are tons of variations. 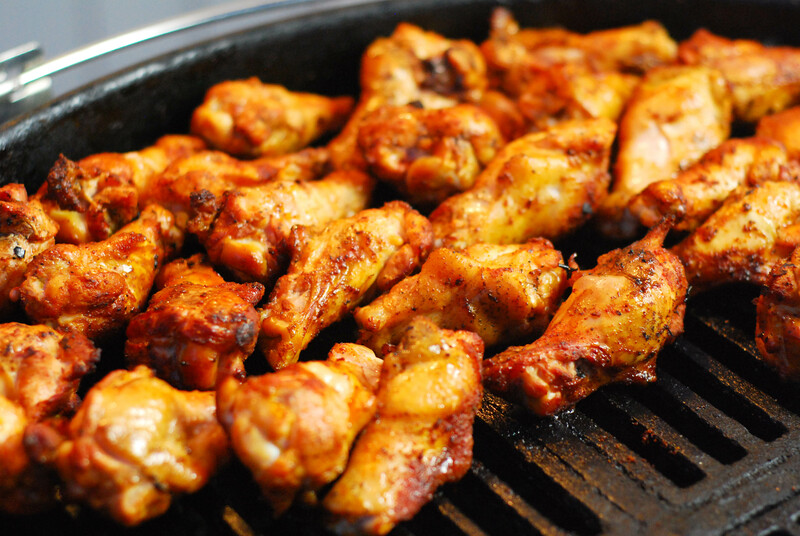 The traditional Buffalo (spicy) style, honey glazed, barbecue, teriyaki…you name it, there’s a recipe for it. 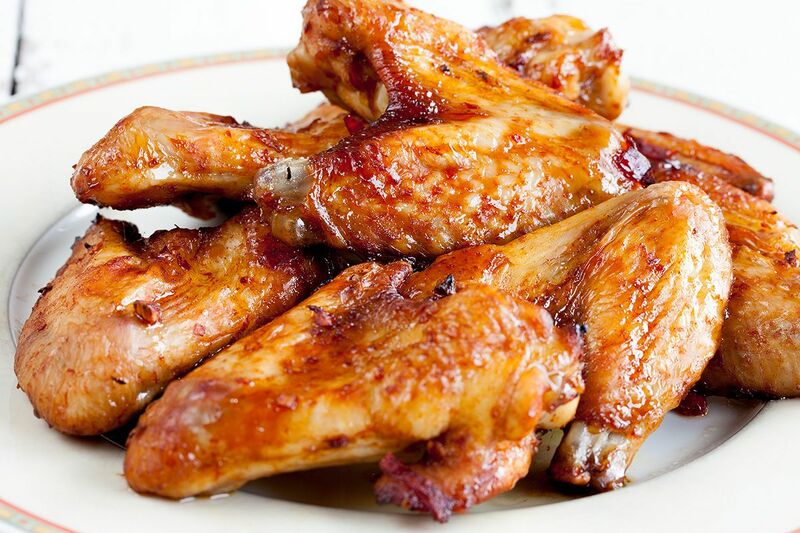 So in honor of Super Bowl 50, why not try one of these two Old Bay® chicken wing recipes? I can’t promise they’ll be the hit of our own Super Bowl party, but I guess it depends on which team our guests are cheering for! Of course, there’s no Maryland team in the big game this year…but I’ve already picked my winner! Mix flour and Old Bay® in large re-sealable freezer bag. Wash chicken wings and pat dry; add wings, several at a time. Shake to coat well. Remove to platter. Repeat until all pieces are well coated. To serve, mix butter and hot sauce in large bowl. Add cooked wings; toss to coat. And enjoy with your favorite libation! Wash chicken wings and pat dry; place in re-sealable freezer bag. Stir together vinegar, beer, vegetable oil, and Old Bay®; pour into freezer bag over wings, shaking well so wings are covered. Put the bag on a big dish and refrigerate at least two hours; preferably overnight, turning a few times to coat well. When ready to cook, preheat oven to 400 degrees. Spray two aluminum foil lined cookie sheets with non-stick cooking spray. Remove wings from bag and spread on cookie sheets in single layer. Bake 40 minutes or until crisp and browned. Serve with ranch dressing, bleu cheese dressing, or other dressing of your choice. And may your team WIN!